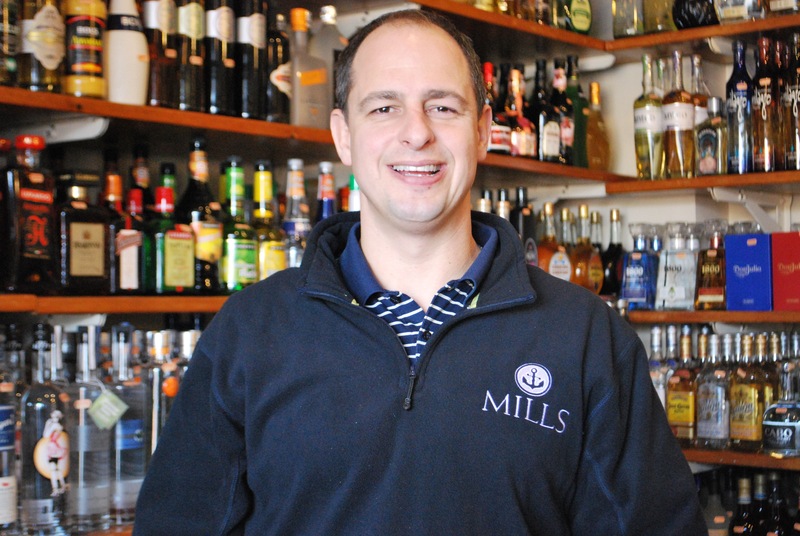 Mills has amassed an amazing selection of scotch but also bourbon, whisky, rum, tequila, vodka, gin, liqueur, cognac, brandy and other specialty liquors. We carry the standard brands you might see in any store, but we also carry the obscure, the unique, and the coveted allocated bottles. Collectors, hobbyists, and amateurs alike enjoy our Spirits Tasting Table, which has many products new and old available for sampling to help solidify your purchasing decisions. And if you’re only in town for the weekend, consider the vast smalls collection containing everything from miniatures of St. Germain Elderflower Liqueur to pints of Johnnie Walker Blue. As the Spirits Buyer, Jerry strives to stock a broad selection of spirits, from unusual finds to the favorite brands. If you are looking for a special product to add to your collection, or have a recommendation for an amazing bottle to add to ours, please contact him!